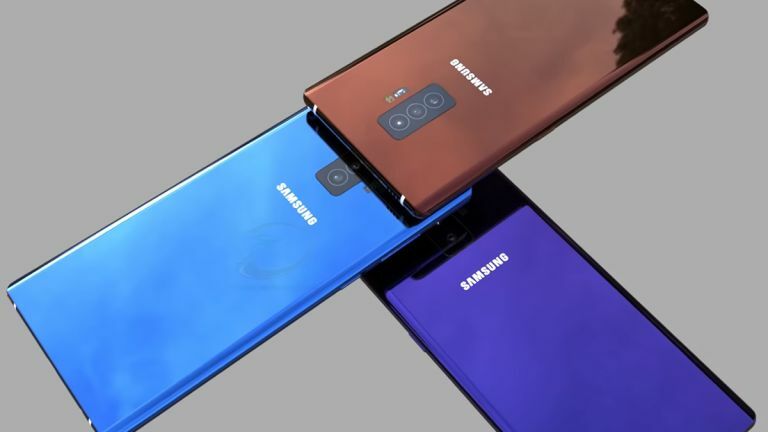 The Samsung Galaxy Note 10 is already starting to leak with exciting details that could mean this is the biggest Samsung phablet phone ever, yup even beating Apple's 6.5–inch iPhone XS Max. Sources of the Korean media are claiming that the Samsung Galaxy Note 10 display will come in at a whopping 6.66–inches. And that's with a bezel–free screen, meaning you can expect the actual phone itself to grow very little in terms of pocket–gobbling space. The Samsung Galaxy Note 10 is apparently codenamed DaVinci, adding weight to the rumours that this handset will be all about its stunning display. So we're also expecting a 4K resolution and HDR support on that Super AMOLED panel. Samsung will likely follow the launch timings it does every year meaning we should see the Galaxy Note 10 arrive in August 2019. Other specs expected on the Note 10 including 5G connectivity, a triple lens rear camera and a giant battery. It's unlikely the S Pen will be enhanced again after it got Bluetooth added for the relatively recent Galaxy Note 9. Expect all this innovation not to come cheap, like over £1,000 pricey.